Sidenor believes that the continuity of a business is related to its environmental performance. This concern is reflected in its daily practices, in investments for continued upgrading of equipment and in environmental awareness programs. Based on this principle, all of the Sidenor plants have adopted the Environmental Management System under ISO standard 14001, and have established the analysis of thousands of industrial activities. The goal is to ensure the complete process overview, from the use of primary materials, the industrial and product distribution stages, to the appropriate destination of by-products created in the process. In addition, the Environmental Management System directly involves collaborators, increasing their commitment to the results obtained in their area. Sidenor invests millions of euros annually in research and technology to reduce particle and CO2 emissions in the atmosphere . The Sidenor Special Steel Production Plants include modern systems of smoke aspiration and purification, effectively capturing the particles generated during the steel production process. This filtered material, which in the past was sent to landfills, is currently treated as a by-product, used as raw material in the zinc recycling industry. In this way, Sidenor reaffirms its commitment to discovering sustainable solutions for their activities. Sidenor also seeks to continually implement improvements to reduce CO2 production, such as the substitution of Fueloil for natural gas in treatment ovens, the development of energy-efficiency projects, continuous technological updating and the use of scrap as a principle raw material. Sidenor’s activities are characterized by responsibility and sustainability. The company’s optimal use of water, a fundamental natural resource that is becoming ever more scarce, serves to illustrate this characteristic. 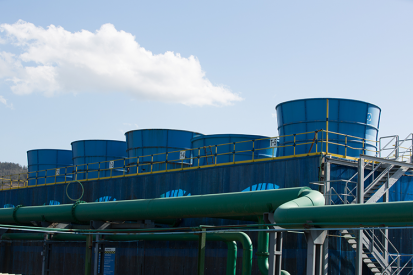 During the steel production process, water is used on a large scale for equipment and product refrigeration. 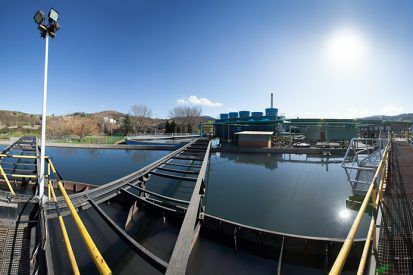 This process is conducted in a closed-loop process through chemical-physical treatment of the water, allowing for its internal reuse and thereby considerably reducing its consumption. Through new awareness technologies and actions, water uptake in the Sidenor facilities has continually decreased over the years. Today the company manages to reuse up to 100% of the total water used in its activities. 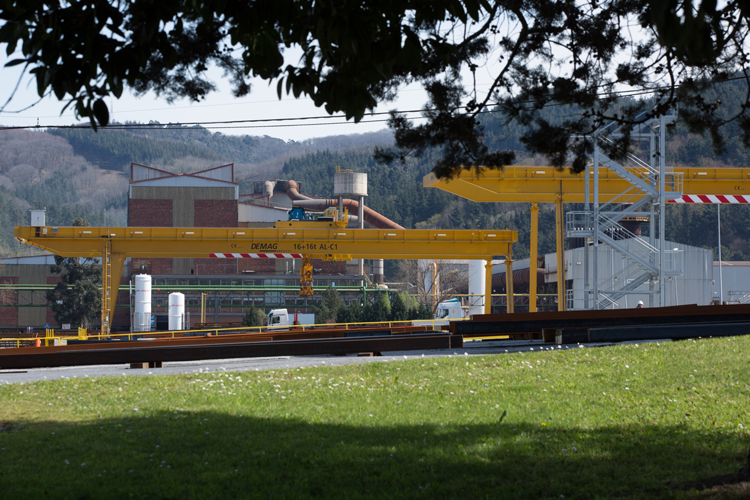 Sidenor looks for intelligent and sustainable alternatives for residues generated during the steel production process. These include different initiatives such as the identification of recycling opportunities in the steel production process itself, the development of research partnerships with universities, research institutes and industries. This material is created by the oxidation of steel’s surface upon coming into contact with oxygen. It is generated during the casting, forging and hot and hot rolling processes. It consists mainly of iron oxide as well as other metal oxides present to a lesser degree in the steel composition. Primary applications: a raw material in sintering, in the cement industry, washing machine balances and internal recycling in the fusion process. This by-product is formed by the production of steel in melt shops. It plays an important role in process control and steel quality. It is mainly composed of the following oxides: calcium, iron, silicon, magnesium, manganese, aluminum, phosphorus and sulfur. Upon processing (cold, separation, metallic, grinding and sifting) it is used as an aggregate for asphalt mixtures, road construction, drainage and filler material for industrial areas, raw material in cement plants and the production of precast concrete walling. CE marking and declaration of performance of steel aggregates. Every year, at Sidenor, we invest to improve our behaviour towards the environment, thus improving the prevention and correction of our environmental impacts. The environmental performance of an industry is not based solely on its facilities. Management systems also play a fundamental part in improvement and sustainability by defining not just the way in which the work is organized, but also the tools that are used to help optimize process-based management.